Cuddle Up with Wuthering Heights. Bustle also recommends '15 Bookish Stocking Stuffers For Readers Who Already Own WAY Too Many Books'. Actress Sonarika Bhadoria also mentions Wuthering Heights in an interview for Mid-day (India). The Reviews Hub on The Drunkard’s Lament as seen at Leeds International Film Festival. 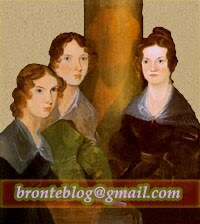 The narrative of Jim Finn’s The Drunkard’s Lament is based on letters by Branwell Brontë, on the subject (mainly) of his sister Emily’s Wuthering Heights. And, of course, there is a fair amount about his addiction to liquor and opium, too. He also waxes lyrical about his affair with a married woman which, like his life really, was doomed to failure. The Emory Wheel reviews the play The Moors. Upsala Nya Tidning (Sweden) reviews the Swedish translation of the book The recovering: intoxication and its aftermath by Leslie Jamison. The Telegraph and Argus looks at the events taking place in the area to mark the centenary of the 1918 Armistice. Cliffe Castle Museum has been commemorating the 100th anniversary of the end of the First World War with special exhibits which have been running since the summer. Keighley’s War celebrates this important event and commemorates the contribution of those in the district whose lives were changed by world events. Visitors will be able to see everything from photos and medals to artworks and toys. The Eyre Guide reviews the book Wish You Were Eyre by Heather Vogel Frederick. On The Sisters' Room, Maddalena De Leo comments on a poem by Emily Brontë.